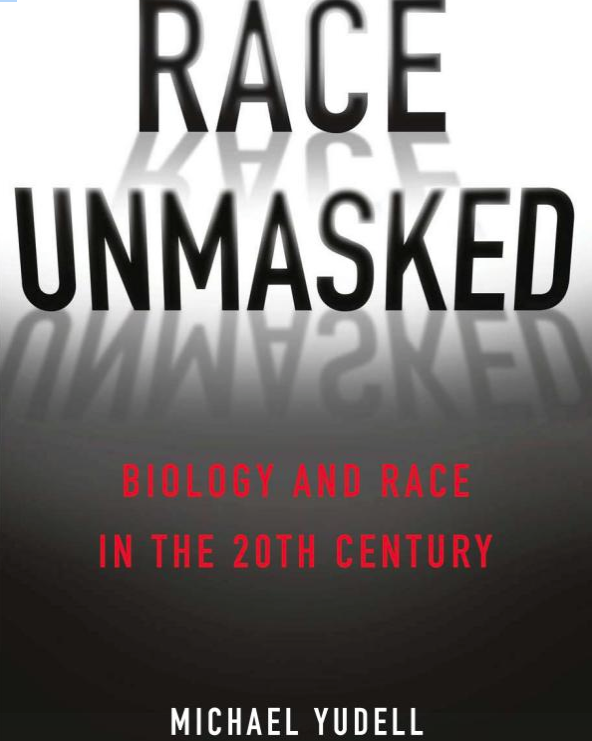 Michael Yudell, Interim Chair and Associate Professor at the Drexel University School of Public Health, is author of “Race Unmasked: Biology and Race in the 20th Century,” which was recently published by Columbia University Press. Americans are constantly reminded of the contradictions concerning the meaning and impact of race. We can as a nation claim progress as it pertains to race. After all, a majority of American voters have twice elected President Barack Obama to the most powerful office in the world. Yet, for as much progress as we have made there is as much work to be done. The recent killings by police of unarmed black men in Ferguson, Missouri and Staten Island, New York remind us how race shapes the often hostile relationship between law enforcement and some communities. Racist comments by several NBA owners remind us that some remain polluted by the foolish belief in the fundamental superiority and inferiority of different groups. Skin color still limits economic and other opportunities. Take home loans: over the past few years the U.S. Justice Department settled cases with several banks for having steered non-whites into expensive subprime loans despite having qualified for standard mortgages. Race matters, of course, and so too does the meaning we give it. We have often turned to science for that meaning—to justify beliefs and to provide a vocabulary for explaining human differences. But science too struggles with understanding race. When we talk about the scientific meaning of race today we do so largely because of the work of the distinguished evolutionary biologist Theodosious Dobzhansky, who spent most of his career at Columbia University. Though today forgotten outside of scientific circles, Dobzhansky was almost single-handedly responsible for reshaping the race concept in the 20th century through his classic book, Genetics and the Origin of Species (1937). Until Dobzhansky’s work appeared, race was defined largely in typological terms, meaning that one member of a race was thought to share the same traits with other members of that race. This kind of thinking helped perpetuate racist actions and stereotypes. For example, from 1932-1972 the infamous Tuskegee Study followed the natural course of syphilis in African American men because it was mistakenly believed that syphilis was a different disease in blacks than it was in whites. Although Dobzhansky was unaware of the Tuskegee Study at that time, he did understand that such classifications were bad science. Dobzhansky, through new techniques in population genetics and evolutionary biology, came to understand first in the non-human animals he studied like fruit flies and ladybug beetles, and later in humans, that genetic diversity at the racial or population level was far greater than most people knew. Racial groups were much more genetically complex than a typological race concept would allow. So how did Dobzhansky redefine race? To Dobzhansky, race was simply a methodological tool to facilitate the scientific study of human and other populations. Race was not a fixed entity, it was a way to organize individuals within a species based on the frequency with which a gene or genes appeared in that population. Depending on the genes being investigated, there could be just a few or many races. What made his definition so important and so radical was that he understood that the way we choose to organize differences in gene frequencies within species were about data and methodology, not about an underlying racial hierarchy or about the fixity of certain traits within specific groups. Dobzhansky thus sought to extract racism from the race concept. By the 1960s, Dobzhansky grew disillusioned with the race concept, and came to believe that the scientific study of race was not only inseparable from its broader social meanings, but that it could also be put in the service of reinforcing those social meanings. The rise of the Civil Rights Movement and his own battles with other scientists over the imprecise and often inappropriate use of the term ‘race’ led him to issue a challenge to the field: devise better and more meaningful methods to investigate genetic diversity. More than fifty years later biology still struggles with Dobzhansky’s challenge and still operates within a paradox that he himself struggled with. On the one hand, race can be an important tool to help scientists organize genetic diversity. On the other, race is an imprecise marker of genetic diversity and not a great proxy for elucidating the relationship between our ancestry and our genes. This paradox remains central to the use of race in our genomic age. For example, it is currently too expensive to sequence everyone’s genomes, so the rapidly growing field of personalized medicine relies on race as a proxy to make best guesses about an individual’s disease risk and how one’s genes influence the response (positively or negatively) to drug treatments. Because genetic variants can cluster in populations, the belief is that this can help clinicians and drug companies make medical decisions based on one’s race. The potential danger here is that we inadvertently reinforce a crude understanding of race, forgetting that it is a highly flawed concept that cannot be used as a proxy for an individual’s own genome. It turns out that muddled thinking about race is as deeply ingrained in scientific as non-scientific thought, and that scientists are as conflicted about race as the rest of society. It is neither cynical nor misguided to acknowledge this. It is only a reflection of a society that continues to struggle with the meaning and impact of racial difference.